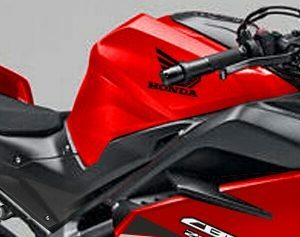 If you’ve made it to this page, odds are that you have probably browsed the blog a little bit and hopefully found some of the information helpful whether it be Honda Motorcycle, ATV & Side by Side Buyer’s Guides or detailed model Breakdown Reviews, Specs etc. When I first started this blog about 3 years ago, I didn’t expect much traffic at all. I figured a couple hundred people a month would end up finding their way here and that would be about it while I updated the site periodically with new information as it is released from Honda. In a million years, I would have never guessed that we would now be seeing 10,000+ people a day. Every day. With those kind of traffic numbers, we were starting to crash the website on a daily basis as I used the very cheap “unlimited” website hosting services that really aren’t unlimited at the end of the day. To keep the site from crashing on a daily basis and in return upsetting more and more people as they just wanted to find more information on a certain model etc, I figured it was time to upgrade servers. Something that can handle our peaks and also just our regular traffic on a daily basis without issue. Making a purchase on Amazon and want to help support the blog? Click Here to go to Amazon’s Homepage and then shop like normal and if you make a purchase within 24 hours they’ll throw a few cents my way. It doesn’t matter what item you purchase whether it’s powersports related or just something simple as socks, toothpaste etc. You can also just click on the Amazon link above and shop like your normally would. You can check out my personalized Honda accessory and part recommendations on Amazon that I update regularly by visiting: Amazon.com/shop/HondaProKevin. Also, if you’d like to continue supporting the blog every time you shop on Amazon, you can bookmark Amazon’s homepage by Clicking Here. High Lifter Products, Inc. has been developing and marketing unique, after-market accessories for utility, 4-wheel drive ATVs, UTVs, and RUVs since 1996. In this short time, the company has grown from a one-man, backyard hobby into a 65 employee, multi-million dollar corporation. Business operations are carried out at our 52,000 square foot location in Shreveport, Louisiana. 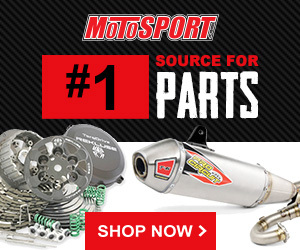 MotoSport was founded in Yakima, WA in 1999 by a gentleman named Bill Butcher. Now well into their second decade, MotoSport continues to lead the powersports industry in selection, quality, expertise and customer service. We don’t call ourselves “The Guys That Ride” because its a catchy slogan. When you call for help or advice you’ll actually talk to someone who owns, rides and wrenches on a dirt bike, street bike, ATV or side-by-side. 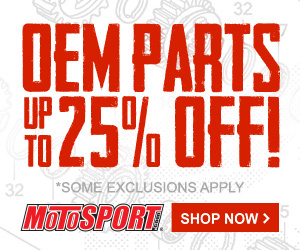 You wont find a more knowledgeable staff of Gearheads or a more devoted customer base because those who rely on us for their parts and gear know that with MotoSport, the loyalty is mutual. Our competitive pricing and wide selection of products means you can grab everything from that impossible-to-find OEM bolt to the latest and greatest motorcycle helmet and have it all on your doorstep in days. Were passionate about what we sell because what we sell is fun.